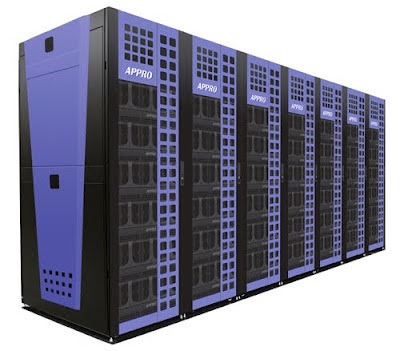 #CHIPS: "Sandia National Labs Favors Intel's Xeon Phi MIC"
Sandia National Laboratories "Arthur" MIC testbed is based on Appro's Xtreme-X Supercomputer Cluster (pictured). Here is what Go-Parallel says about Sandia's work on Intel MIC: As a part of the National Nuclear Security Administration (NNSA) Advanced Simulation and Computing (ASC) program, a testbed prototype called “Arthur” at Sandia National Labs is helping to pioneer the future of many-integrated core (MIC) supercomputers. #MARKETS: "Qualcomm/MStar Join Smart TV Alliance"
Here is what LG says about the Smart TV Alliance: Smart TV Alliance, launched in June this year by founding board members LG Electronics and TP Vision with Toshiba joining shortly after, has expanded with new members with expertise from different areas of the Smart TV industry. As it continues to expand its market reach, the Smart TV Alliance will publish specifications for its software development kit (SDK) 2.0 on its official website www.smarttv-alliance.org. In addition to Smart TV manufacturers, organizations that contribute in different ways to the Smart TV experience have also joined the Alliance. Qualcomm and MStar will bring their expertise and understanding in hardware design to the consortium while Obigo, a leading web browser provider and application developer, will provide valuable input from a developer’s perspective. And YuMe, a provider of video advertising software and services, will deliver knowledge and experience from the advertising community. 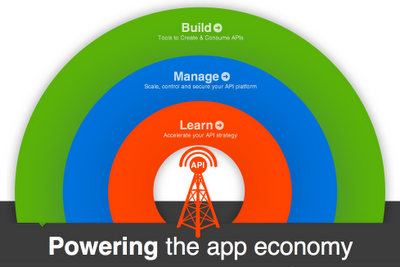 Demonstrating that developing common Alliance specifications is not an exercise in theory only, Obigo has developed apps based on Alliance SDK 1.0 specifications that run consistently on TV sets from Alliance members. Consumers will be able to enjoy these apps, including Accuweather and Vilanoise, when they become publicly available in September. 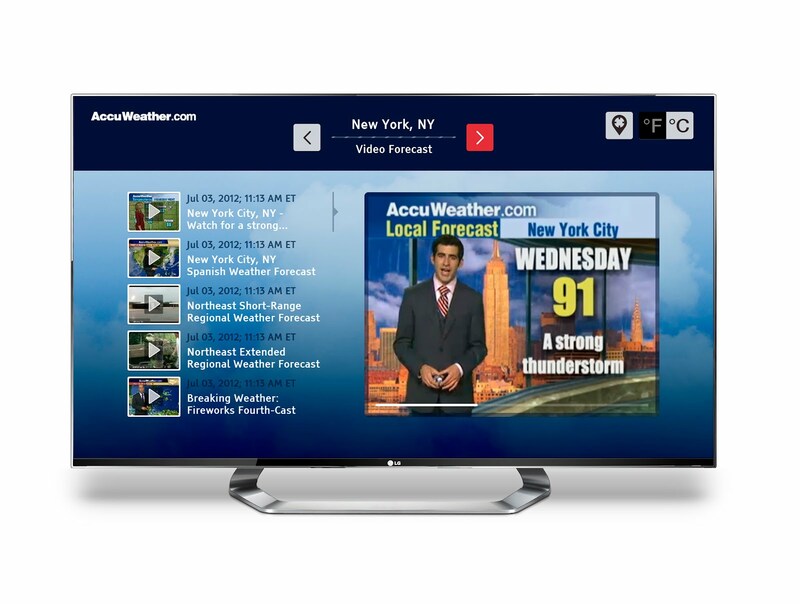 In addition, more apps will be developed and become available through Smart TV Alliance members. As different communities in the Smart TV industry come together, the Smart TV Alliance will announce the SDK 2.0 specifications on its website, which will be supported by 2013 products from member companies. By looking at these specifications, developers will be able to understand what capabilities to expect on 2013 products and plan their application development accordingly. After the specifications are announced, the SDK software tool will be available for download from www.smarttv-alliance.org. 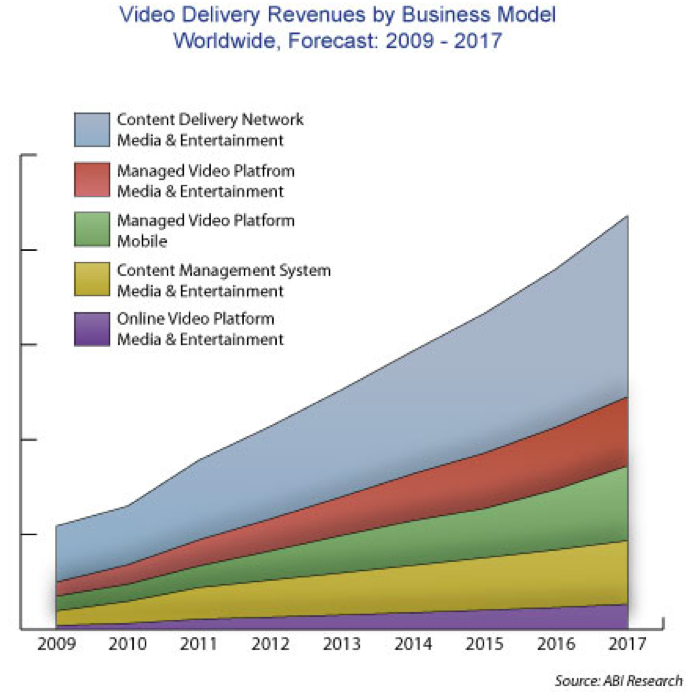 #MARKETS: "Video Delivery Tops $2 Billion"
Here is what ABI Research says about video deliver platforms:TV Everywhere and Over-the-Top (OTT) video, including Comcast Xfinity, HBO Go, Netflix, iPlayer, and Sky Go are growing rapidly. Making this possible are several groups of companies responsible for video delivery and management. The companies, including online video platforms (OVPs), managed video platforms (MVPs), content management systems (CMSs), and content delivery networks (CDNs) are all growing at impressive rates. In 2012, revenues for video platforms distributing video on behalf of media & entertainment companies (including cable & satellite distributors) worldwide will reach $2.1 billion, and will grow to over $4 billion in 2017. Well-known CDN, Akamai, has a commanding lead of the video delivery market, with about $475 million in 2011. CDNs generally are responsible for finding optimal routes for the video, and storing copies close to consumers to ensure a high quality of delivery. KIT Digital, suffering through serious growing pains in early 2012, leads the market for content management systems with nearly $175 million video delivery revenues from media & entertainment companies in 2011. Brightcove is the largest OVP with $64 million in 2011 media & entertainment revenues. Synacor, who primarily hosts websites for Cable MSOs, leads out the MVP market with nearly $91 million in 2011 revenues. These findings are part of ABI Research's Video Delivery Hardware and Platforms Research Service, which includes Research Reports, Market Data, Insights, and Competitive Assessments. In addition to tracking the growth and dynamics of CDNs, OVPs, CMSs and CDNs, this service tracks video encoders and transcoders, video servers, VOD hardware, and CDN equipment. 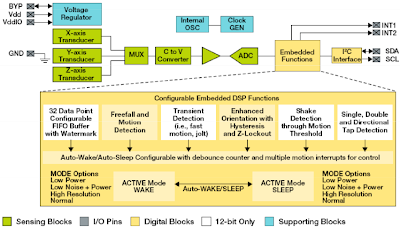 #ALGORITHMS: "Parallel Processing Standards Enjoyed by DSPs"
Texas Instruments multi-core digital signal processor (DSP) block diagram. 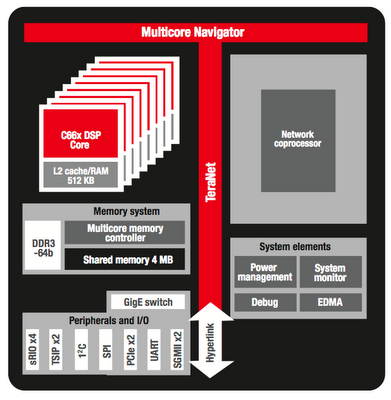 Here is what TI says about its OpenMP API: Getting developers one step closer to tapping the full potential of multicore digital signal processors (DSPs), Texas Instruments Incorporated (TI) (NASDAQ: TXN) announced the industry’s first commercially available support for OpenMPTM Application Program Interface (API) on multicore DSPs. The OpenMP API is a portable, scalable model that provides developers utilizing TI’s KeyStone-based TMS320C66x multicore DSPs a simple and flexible interface for developing parallel applications in markets such as mission critical, industrial automation, embedded vision, medical imaging, video surveillance, audio and video infrastructure and high performance computing. With this optimized software offering, developers can benefit from faster development on TI’s C66x DSPs and can take full advantage of their multicore designs. For more information, please visit TI’s multicore page. 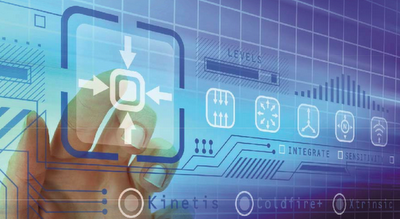 Over time, software for embedded systems has become more complex for multicore developers. This complexity makes the production of software the critical path in the development of multicore embedded systems. With the OpenMP API, developers designing with TI’s C66x DSPs can easily increase programmer productivity, while reducing design, development costs and time to market for embedded systems. TI currently offers OpenMP API support for its TMS320C6670, TMS320C6671, TMS320C6672, TMS320C6674 and TMS320C6678 multicore DSPs. OpenMP API tools for TI’s C66x multicore DSPs are currently available for download as part of the C6x Compiler. #ALGORITHMS: "Making every TV 'smart'"
Hillcrest Labs has managed to downsize its Freespace MotionEngine algorithms to run entirely on the 8-bit microcontroller inside the Smart TV remote control. Here is what EETimes says about making every TV smart: Hillcrest Labs Inc. announced Tuesday (Aug. 28) it downsized its motion processing algorithms to run on an 8-bit microcontroller inside a television remote control. 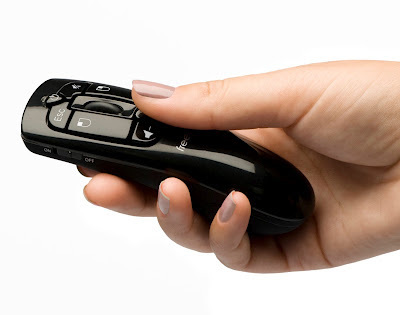 Known as Freespace MotionEngine Lite, the software allows nearly any TV manufacture to convert existing "dumb" models into Smart TVs merely by choosing the right remote. #ALGORITHMS: "LG's Game World to Rival Consoles"
Game World's main menu displays four categories – Featured, Top Chart, New and Genre – for quick and easy access to gaming content. Here is what LG says about its new Game World: LG Electronics (LG) today announced the launch of its new Smart TV game portal, Game World. Anticipating a new era of downloadable casual 3D games, LG developed Game World exclusively for its CINEMA 3D Smart TV lineup. 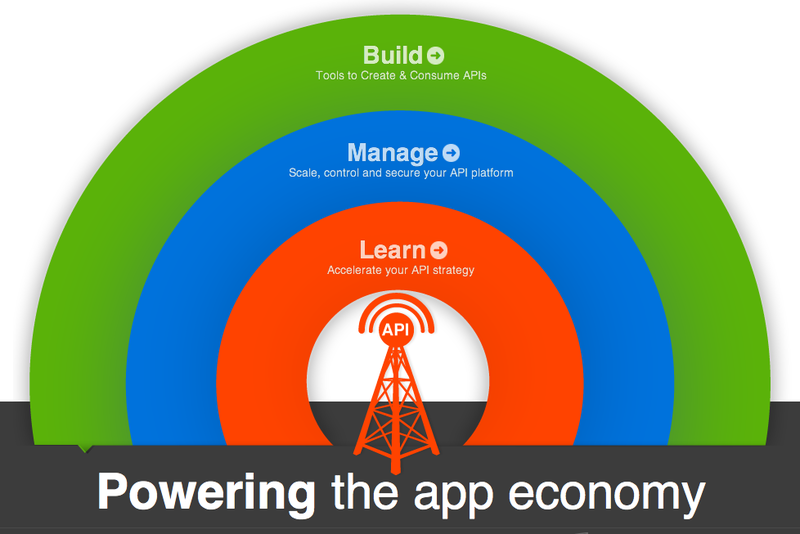 The portal provides a user-friendly way to search, purchase, and play game apps – in both 2D and 3D – through an intuitive interface. Many of the games can be played with LG’s Magic Remote or with any third-party game pad. A simplified user experience begins with the main menu, which prominently displays a menu bar listing four categories – Featured, Top Chart, New and Genre – for quick access to the contents. The Featured category comprises some of the hottest games available, including games recommended by LG. Top Chart offers the most popular paid as well as freeware games. The New link lists the most recent games available in Game World while the Genre option gives access to game titles in the following categories: action, adventure, arcade, puzzle, RPG, shooter, simulation, sports, and strategy. The main menu of Game World also provides a tutorial, with manuals and instructions for playing with a Magic Remote or a game pad. The My Games section links users to all previously purchased games and displays a list of the most frequently played games, making it easy to find the next big hit. 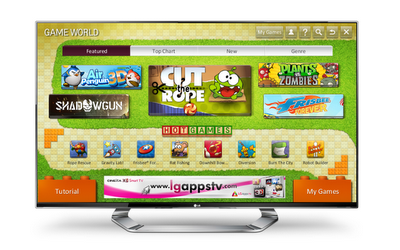 The titles available on Game World will consist mainly of family-friendly titles, with most titles being compatible with LG Magic Remote’s gestures and movement capabilities and many also playable in 3D. Game World will be launched globally in the second half of this year. #CLOUD: "Industry Leaders Form Cloud Advisory Council"
Charter members of the Cloud Advisory Council include AMD, SGI, Supermicro and 12 other pioneers in cloud computing. Here is what the Cloud Advisor Coucil says about its mission and formation: The Cloud Advisory Council, an innovative not-for-profit organization dedicated to develop and enable the next-generation cloud architecture, today announced the organization’s formation and directive to provide cloud designers and IT managers with the tools needed to enable computing in the cloud, to strengthen the qualification and integration of cloud solutions and to provide best practices. The Cloud Advisory Council is an industry collaboration of original equipment manufacturers (OEMs), strategic technology suppliers, independent software vendors (ISVs), and end-users across the entire range of the Cloud market segment. Founding members include: AMAX, AMD, Atlantic.Net, Check Point Software, Colfax, DDN, Eucalyptus, Mellanox Technologies, Nanjing Standard Communication, Nimbula, ProfitBricks, SGI, Sugon, Supermicro, and Xeround. “Mellanox, as a founding member of the Cloud Advisory Council, is dedicated to develop and collaborate with industry leaders in developing next generation cloud architectures. Together, we share the vision of a simplified and a higher efficient cloud infrastructure that will deliver the best return-on-investment for cloud providers and users,” said David Barzilai, vice president of marketing at Mellanox Technologies. “Mellanox’s end-to-end 10/40GbE and FDR 56Gb/s InfiniBand cloud interconnect solutions have been proven to provide the best interconnect technology to enable cloud deployments of tomorrow. The Cloud Advisory Council recognizes also the importance of establishing metrics for Cloud sustainability and performance. For this reason, the Cloud Advisory Council will propose the use of a new metrics, Cloud Center Efficiency (CCE) and Power Consumption Efficiency (PCE), to address inefficient utilizations associated with cloud centers. The impact of efficient usage is emerging as extremely important in the design, location, and operation of current and future cloud centers. Help influence the direction of the Cloud by becoming a member of the Cloud Advisory Council. Membership to the Council is free. More information can be found on our website: www.cloudadvisorycouncil.com. During VMworld, visit us at our member booths: AMD (Booth #801) and Mellanox Technologies (Booth #2029) for more information about the Cloud Advisory Council, its activities, and membership information. The Cloud Advisory Council is a not-for-profit organization with the mission to develop the next generation cloud architecture, to provide cloud designers and it managers with the tools needed to enable computing in the cloud, to strengthen the qualification and integration of cloud solutions and to provide best practices. The Cloud Advisory Council is led by a broad coalition of industry practitioners and corporations. For more information, visit www.cloudadvisorycouncil.com, or follow us on Twitter: @Cloud_Advisory. #ALGORITHMS: "Touch sensing software gets robust"
Touch Sensing Software (TSS) offers a common set of algorithms for the touch panel functions of buttons, dials and sliders as well as allowing for innovative designers to define custom control surfaces for special purposes. Here is what EETimes says about touch panels: New touchpad technology introduced by Freescale Semiconductor Inc. converts capacitive touch panel readings into reproducible functions of buttons, dials and sliders and other control surfaces. Touch has become the expected modality for human-machine interfaces for everything from smartphones to washing machines. Touch-based control panels use touchpads with pictures demonstrating common functions that people already know how to do, virtually obsolescing mechanical switches. Freescale (Austin, Texas) provides the artwork to make a variety of analog-like input devices by patterning copper traces behind a plastic control panel covered with pictures of those buttons, dials and sliders. By artfully crafting a pattern of copper traces to track the capacitance of up to 16 locations, original equipment manufacturers (OEMs) can create a control panel that is self-explanatory in how it controls their specific device, according to Freescale. #MARKETS: "App Culture Dictates Retailer Strategies"
This survey was conducted online within the United States by Harris Interactive on behalf of Apigee from July 31- August 2, 2012 among 2,262 adults age 18+. This online survey is not based on a probability sample and therefore no estimate of theoretical sampling error can be calculated. For complete survey methodology, including weighting variables, please contact Tom Carpenter. #ROBOTICS: "Land Robots Teaming with AirBots"
Up, Up and Away. Sgt. 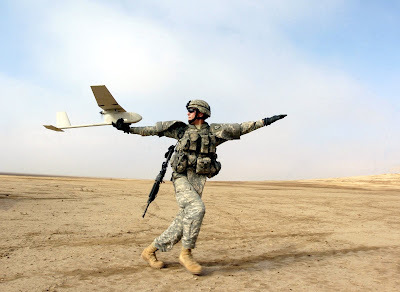 Dane Phelps, from 2nd Battalion, 27th Infantry Regiment, 25th Infantry Division prepares to launch the Raven unmanned aerial vehicle during a joint U.S. and Iraqi cordon and search operation in Patika Province, Iraq. Here is what Middle Tennessee State University says about UAVs: From facilitating missile strikes on terrorists to keeping soldiers from harm’s way by defusing improvised explosive devices in war zones, unmanned aerial and ground vehicles have moved from Hollywood scripts to military necessities. But the technology surrounding these tools holds greater possibilities on and beyond the battlefield, and MTSU will be at the forefront of that research by partnering with the military to explore ways to improve and expand use of the technology, including commercially. An historic educational partnership announced Aug. 13 between MTSU, the U.S. Army and the U.S. Marine Corps will explore how to add low-cost hardware and software to existing small robots to use Raven aircraft as an eye-in-the-sky relay. The new pact will study ways robots on the ground can be used in concert with unmanned vehicles in the air. The agreement allows the Robotic Systems Joint Project Office “to loan and transfer research equipment to MTSU.” The Robotic Systems Joint Project Office, jointly operated by the Army and Marines, is headquartered in Warren, Mich., with a satellite office at the Redstone Arsenal near Huntsville, Ala. The partnership also allows the Army and Marines to help develop courses and materials for MTSU and involve faculty and students in defense-laboratory research projects. MTSU President Sidney A. McPhee and the Army’s Lt. Col. Nick Kioutas signed the formal agreement Aug. 13 at the Murfreesboro campus. Four students, a military Raven unmanned vehicle, the iRobot PackBot 500 system and other unmanned vehicles participated in a demonstration for media and others attending the announcement — the first of its kind between MTSU and the two military branches. It comes one year after the University and Army entered into another unique partnership to support MTSU’s educational and research efforts into the Army’s remote-controlled Raven aircraft. “It’s awesome,” Brent Taylor, a senior aerospace administration and business double major from Fort Campbell, Ky., said of the technology and research possibilities for students. “I stumbled into it in an unmanned aircraft systems class last fall, and then (fellow student) Brett Bornhoft mentioned the Unmanned Systems Club. Such advances would increase the range and utility of the robots and build on the university’s ongoing scientific-research pursuits by students and faculty. “Our partnership provides us the opportunity to enhance the capabilities of today’s soldier and tomorrow’s commercial markets,” Blanks said. • monitoring a herd of cattle and even checking vital signs from RF transmitters installed on the cattle. By adding an unmanned aircraft to the mix, Blanks said counter-IED operations gain an aerial view of a specific area and can see insurgent “scouts” or other evidence to help determine if the threat they are investigating is really the explosive device. • A suspicious package or location(s) is brought to the attention of an explosive ordnance device team. • Instead of approaching the location on foot and endangering a soldier, the unmanned ground vehicle is sent in to use its cameras for a closer look at the area and potentially manipulate the package to determine its nature. If personnel believe it is an explosive device, the unmanned vehicle will carry a smaller demolition charge out to the package to be remotely detonated when the vehicle has resumed a safe distance. After the Aug. 13 signing, MTSU senior Steve Lawn, an aerospace professional pilot major from Charleston, S.C., maneuvered a robot across the floor of Cantrell Hall for a demonstration and then outside and down a small flight of stairs to the MTSU Veterans Memorial site. “The end goal for interoperability (systems working together) is basically to take all unmanned vehicles — air, ground, water — and have a common interface, a common language, so that if a person … gets trained on the system, they don’t have to go to a different training for every single system,” Lawn said. The robot he demonstrated is considered an unmanned ground vehicle or tracked vehicle with manipulator arm, Blanks said, adding that both systems were used to investigate and probably defeat IEDs during a recent deployment with a combat engineer battalion in Afghanistan. Kioutas added that MTSU’s existing partnership with the Army for education and research on its remote-controlled Raven aircraft, as well as the university’s proximity to Redstone Arsenal, helped clinch the newest agreement. Lt. Col. Robb Walker of the Army’s Unmanned Aircraft Systems program echoed Kioutas’ comments. “The UAS Project Office enjoys a great relationship with MTSU, and we’re excited about this new opportunity for them,” he said. Blanks re-emphasized the benefit of the partnership to MTSU students. “Our educational partnership with the Robotic Systems Joint Project Office provides our students with the opportunity to work hands-on with the actual hardware that is employed by today’s soldiers and to research the most cutting-edge advances in unmanned technology,” he said. “This agreement is another in a series of bold steps forward that we’ve taken to provide the very best in facilities, training and service in this important area,” McPhee added. #MEMS: "Gyroscopes Crack Power Tool Market"
Here is what Black and Decker say about their gyro-enabled screwdriver: Black & Decker® (NYSE: SWK) brings innovation to the screw driving category once again with the introduction of the GYROTM 4V MAX* Lithium-ion Rechargeable Screwdriver (BDCS40G), the world’s first motion-activated screwdriver that controls variable speed and direction. The variable speed feature and direction change that occurs with a twist of the wrist provide improved control while screwdriving compared to rechargeable screwdrivers on the market. 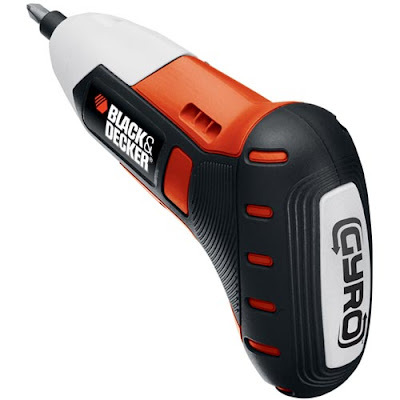 Black & Decker continues to set the pace of innovation with the patent pending GYROTM screwdriver featuring gyroscopic technology — an industry-first for a screwdriver. With gyroscopic technology, users need only to rotate their wrist one-quarter turn to the right for forward or left for reverse. With traditional rechargeable screwdrivers users are typically required to engage a switch for a direction change and are not offered variable speed. The 4V MAX* Lithium Rechargeable Screwdriver joins Black & Decker’s expanding lineup of Lithium products, including the existing range of drill/drivers and Black & Decker’s extensive Lithium outdoor lineup featuring a string trimmer/edger, hedge trimmer, sweeper, cultivator, pole pruning saw, pole hedge trimmer, chain saw and powered lopper. With lithium ion battery technology, the GYROTM screwdriver holds a charge up to 18 months. With this and other Black & Decker lithium ion products, users receive long-lasting, lightweight and compact products that won’t experience battery memory effect problems. The Black & Decker 4V MAX* GYROTM Lithium Rechargeable Screwdriver will be available October 2012 for $39.97 at most major retailers. The GYROTM screwdriver features an LED light and comes with two standard screwdriving bits, jack plug charger and a two-year warranty. #CHIPS: "Yellowstone Supercomputer Sports Massive Xeon E5 Array"
Yellowstone, the newest supercomputer at the National Center for Atmospheric Research (NCAR), is now fully assembled and undergoing testing for its debut next month. 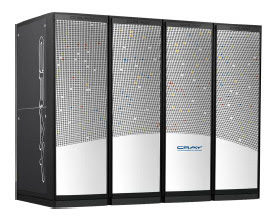 A supercomputer with a massive array of Intel Xeon E5 cores will debut next month, multiplying by 29 times the computing power at the National Center for Atmospheric Research (NCAR). 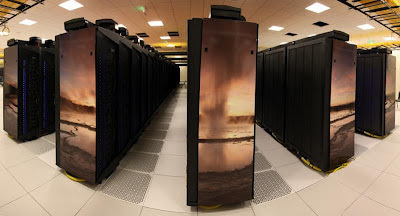 Called Yellowstone, the 1.5 petaFLOPS supercomputer at NCAR’s Wyoming Supercomputing Center (NWSC, Cheyenne) will be used by the Computational and Information Systems Lab for weather forecasting, the development of detailed climate models and other critical environmental research. The National Center for Atmospheric Research (NCAR) has a new Yellowstone supercomputer which houses 72,288 Intel Xeon E5 cores in its main computing array (center) with dedicated data-analysis and visualization (DAV) resources (Geyser and Caldera respectively, left) and a Globally Accessible Data Environment--GLADE (right). "CHIPS: "IBM maps spin-helix semiconductors"
IBM scientist Gian Salis demonstrates how synchronizing electrons extends the spin lifetime thereby making spintronics feasible. 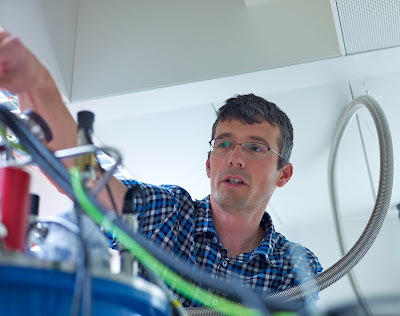 The first direct mapping of a persistent spin helix in a semiconductor has been demonstrated by IBM Researhc (Zurich). By extending the spin lifetime of electrons by 30-times to the cycle time of a 1GHz processor, the researchers were able to demonstrate the feasibility of using spin to store, transport and process information. IBM claims its discovery heralds a new class of magnetic-based transistors that use spin--instead of charge--resulting in more energy efficient semiconductors. "The idea of a persistent spin helix was put forward by theoretical physicists in the group of professor Daniel Loss at the University of Basel [in 2003]," said IBM researcher Gian Salis. "Our direct experimental observation was enabled by both, the unique experimental set-up that allows for time-resolved imaging of spin polarization at low temperatures and high magnetic fields, as well as the excellent sample material produced by our collaborators at ETH Zurich." Spintronics has been favored for the next generation of electronics, since individual electrons could then be used to store either ones or zeros depending on their spin orientation. However, researchers have not been able to demonstrate long-enough spin lifetimes to make the technique commercially feasible. IBM scientists demonstrated spin lifetimes of over a nanosecond by using laser pulses to monitor spin orientation of thousands of electrons in a quantum well. By arranging their spins into a regular stripe-like pattern--called a persistent spin helix--the IBM scientists were able to synchronize electron spins and verify they stayed in sych over distances of over 10 microns, a distance that would allow logical operation to be performed. The gallium arsenide (GaAs) material in which the persistent spn helix was demonstrated was produced by scientists at ETH Zurich. The experiment was performed at 40 degrees Kelvin (-387 F). Funding was provided by the Swiss National Science Foundation, the National Center of Competence in Research (NCCR) Nanoscale Sciences and NCCR Quantum Science and Technology. 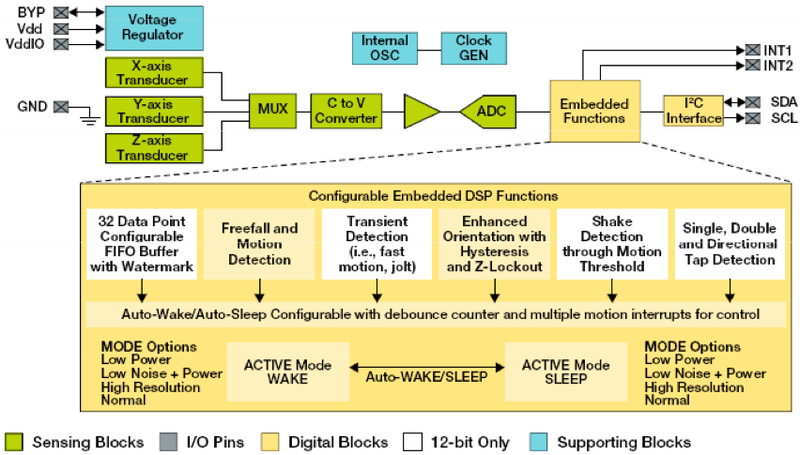 #MEMS: "Freescale MEMS sensors target mobile"
#ALGORITHMS: "Sparse Inference Uncovers 9/11 Perpetrators"
The complex webs of interactions that distinguish the propagation of malware, spam, biological epidemics and even terrorism plots is extremely difficult to analyze. However, the inventors of a new algorithm at the École Polytechnique Fédérale de Lausanne (EPFL) claim to be able to track down perpetrators using just a few sources--even claiming that the mastermind of 9/11 could have been identified from just two wire taps. "The mastermind of 9/11 was Mohammed Atta, which was already known," said inventor of the algorithm, EPFL researcher Pedro Pinto. 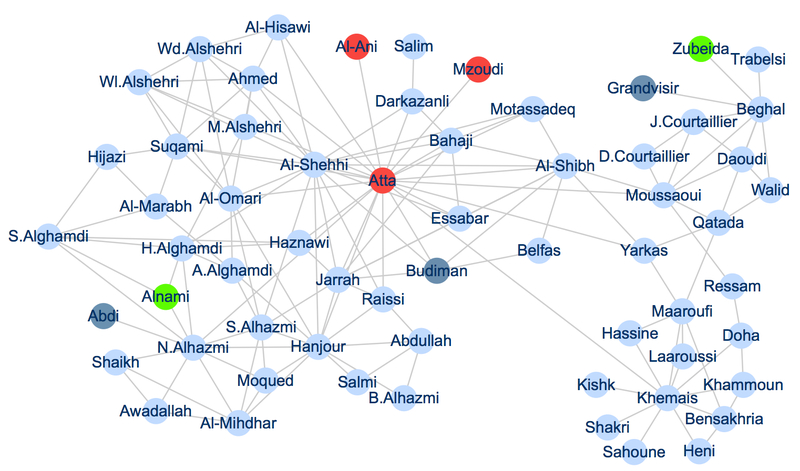 "What we have shown is that monitoring the communications of just a few terrorists and applying our source-location algorithm could have led to the same result. And in other scenarios, it can be used for prevention as well." 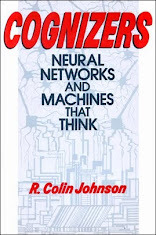 The algorithm called "Sparse Inference" (SparseInf) makes accurate source-location predictions using a multi-dimensional version of the algorithm that cell phone carriers use to triangulate the location of mobile handsets. "It was inspired by how localization works in wireless networks, where three or more base-stations measure the distance to your cell-phone, and use triangulation to pinpoint it's location. We just do something similar, but on a graph," said Pinto. 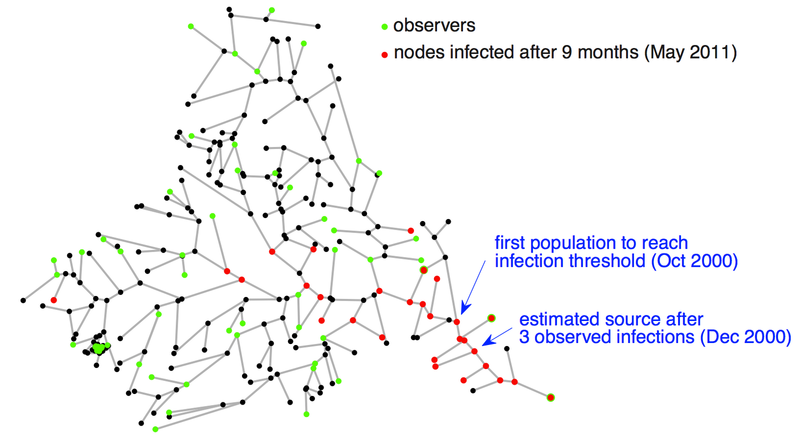 Sparse Inference used historical data to trace the source of a cholera outbreak that occurred in the KwaZulu-Natal province, South Africa, in 2000. 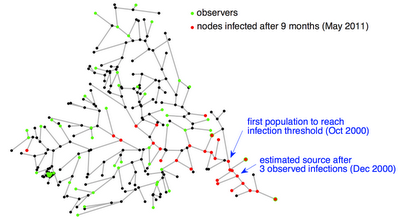 Using historical databases the researchers have shows how the algorithm could have been used to quickly find the source-location of a whole variety of hard-to-trace examples--from epidemic outbreaks in Africa to the source-location of the sarin nerve gas that killed 13 and injured nearly a 1,000 in Tokyo in 1995. 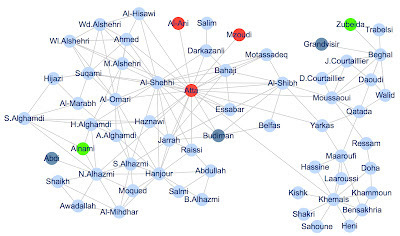 They claim that the algorithm could also be used to trace the source-location of malware and spammers online, and speculate that in the future, even businesses could use the algorithm to identify the Internet blogs that are most influential for their target audience. "The algorithm relies on the principle of 'maximum likelihood hypothesis testing', adapted to arbitrary graphs, so it's pretty general in applicability," said Pinto. Currently, the team is attempting to adapt SparseInf to be used preemptively, to make important predictions before they materialize--from epidemic outbreaks to terrorism plots to finding the sources of an Internet rumors to identifying blogs key to a successful marketing campaign. #CHIPS: "Cray Moving to Intel-based Supercomputers"
#MEMS: "MEMS enable 'human body on a chip'"
Human body on-a-chip hosts up to 10 interchangeable human tissue modules using microfluidics to model human responses to drugs and vaccines. Here is what EETimes says about human bodies on-a-chip: Researchers at the Massachusetts Institute of Technology (MIT) and elsewhere have embarked on an ambitious $32 million " human body-on-a-chip" research project that will use micro-electro-mechanical systems (MEMS) microfluidics to mimic people's reactions to substances-of-interest. 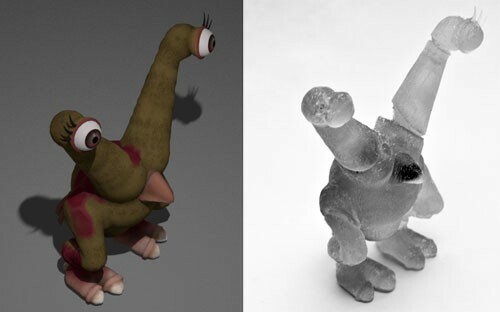 #3D: "Animated characters brought to life by 3-D printing"
Here is what EETimes says about 3-D printers: The virtual world is being brought to life by reverse engineering the rendering operation that draws on-screen characters in video games and other software animations. Harvard University researchers will describe a patented new algorithm that uses three-dimensional printers to create personalized action figures from animations at next week's Siggraph 2012 show in Los Angeles. Software animations create both realistic and fanciful characters, but their makeup and capabilities need not match those that are possible in the real world. Harvard's software, however, translates the primary characteristics of the on-screen characters into articulated components that together realize a figurine that can be created by a 3-D printer. #MEDICAL: "Independa Provides Plug-and-Play Health Monitoring"
Here is what Independa says about its deal with Ideal LIfe: Home health, home care and other professional caregivers face a bewildering array of options for monitoring the independent elderly, and they often have to play integrator to make disparate devices work together. A new agreement between Independa™ and IDEAL LIFE will help avoid that hassle, time and expense by providing caregivers and caregiving organizations a suite of solutions that are connected and ready to use right out of the box. Independa will integrate IDEAL LIFE’s wireless health monitoring products – including scales, glucometers, pulse oximeters, blood pressure cuffs, medication dispensers and a wireless hub – into the Independa Artemis™ solution. Caregivers and the independent elderly will simply unpack and power up the devices, which will automatically connect wirelessly to other Artemis elements. This turnkey out-of-the-box experience is ideal for quickly establishing monitoring systems, such as when a person returns home after surgery or moves into an independent living facility. Artemis, scheduled for general availability this fall, will feature a wide selection of health, safety and activity sensors, with support for a variety of healthcare communications protocols. Artemis will be offered through Independa partners, including home health, home care and senior living providers that want to provide next-generation telecare services.